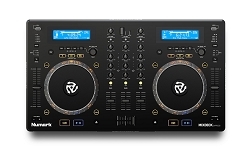 Flagship DJ Controller for rekordbox Software Improved Magvel Fader & brand new FX! 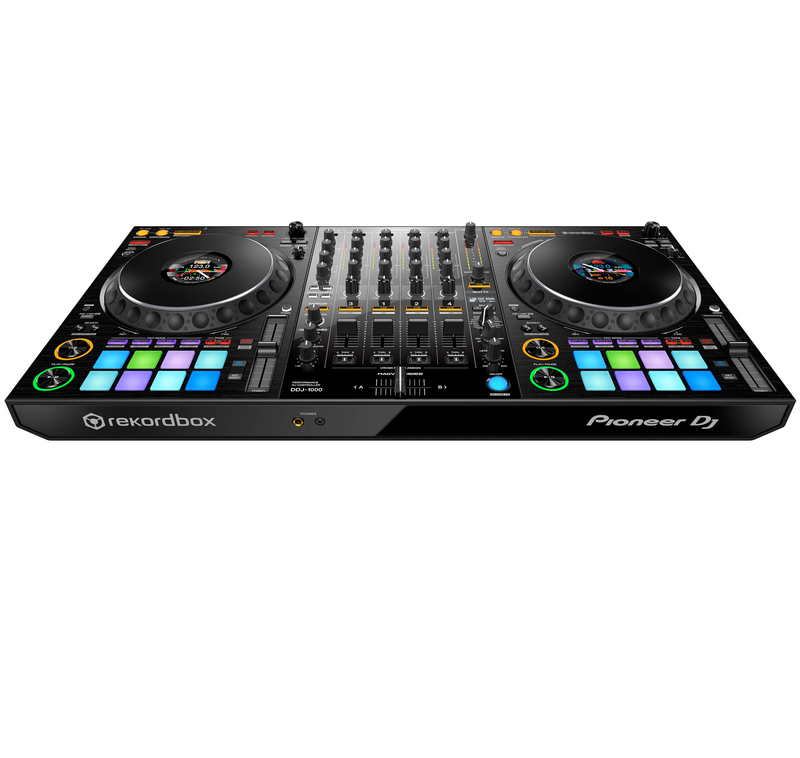 The DDJ-1000 offers the ideal solution if you want to play at events and party venues other than clubs thanks to its easy portability and brand-new user interface, which is similar to the familiar multi player/DJM club-standard set-up. 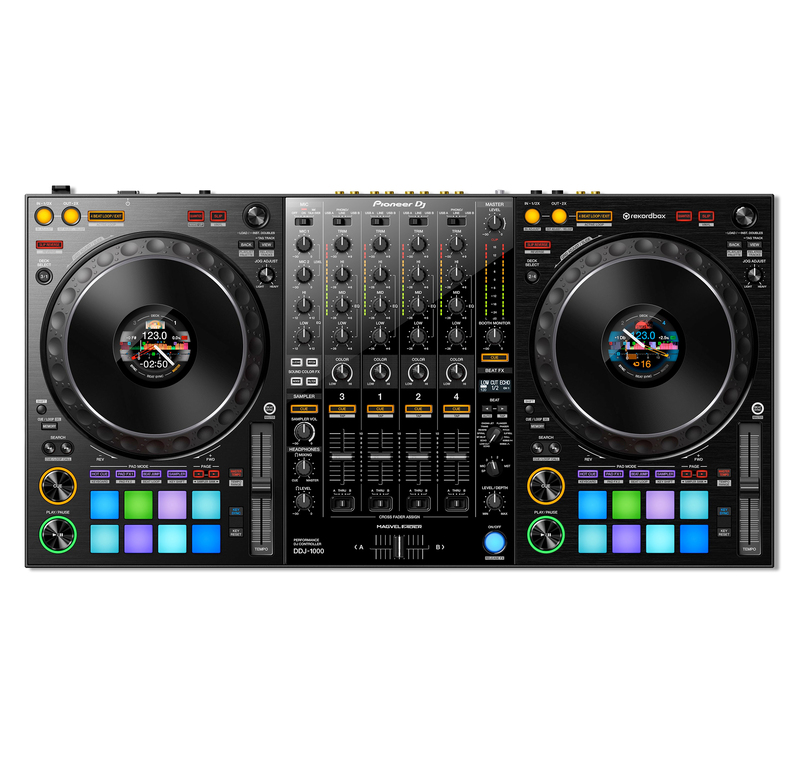 Its professional features include full size jog wheels inherited from the CDJ-2000NXS2 with added On Jog Display so you can keep an eye on important track information without looking at your laptop. Bring creative flair to your mixes with 14 Beat FX and use the 16 multicolored Performance Pads (8 per deck) to trigger various features including Hot Cues, Pad FX and Keyboard Mode, which enables you to play a Hot Cue in different semitones. This allows you to improvise with sounds and create musical phrases as if you were playing on the keyboard of a synthesizer or other instrument. The significantly updated version of rekordbox includes enhancements to the Related Tracks feature, adding more options for quickly finding tracks that are well matched with the one you’re playing. And the improved rekordbox dj Plus Pack brings new additions such as Automix, which uses the software’s upgraded track analysis to automatically and seamlessly mix tracks. Customisable colour LCD On Jog Display screens are located in the centre of each jog wheel. 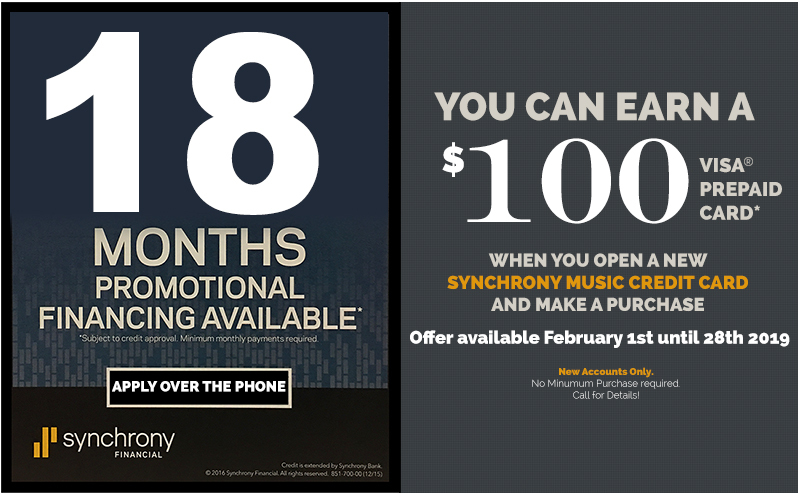 Reveal only the information you need. 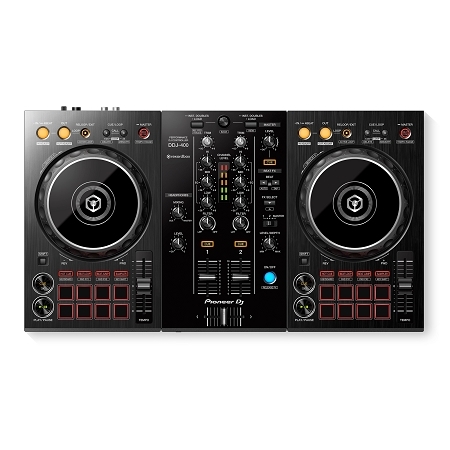 Whether that’s BPM, waveform, playback position or Hot Cue and Loop points..
Transitioning to this DJ controller is a breeze thanks to the familiar jog-wheels and layout, inherited from the club-standard CDJ and DJM flagship equipment. 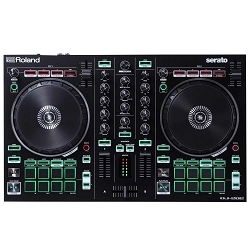 As a result, using rekordbox dj with the DDJ-1000 feels the same as playing from USB drives with a NXS2 set-up. Highly durable for more than 10 million movements, the new MAGVEL FADER makes intricate performances feel easy. 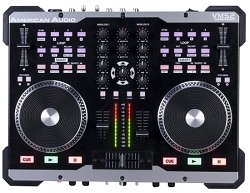 Plus, the refined software processing of the jog wheel and crossfader significantly reduces latency, so scratching feels more intuitive than ever. Add texture to your sets with four new Beat FX, entitled Enigma Jet, Mobius Saw, Mobius Triangle and Low Cut Echo, along with 10 of the most popular Beat FX from the DJM-series mixers. 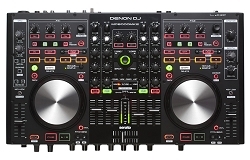 The DDJ-1000 ¬also features four Sound Color FX from the DJM-series mixers - Pitch, Filter, Dub Echo and Noise. 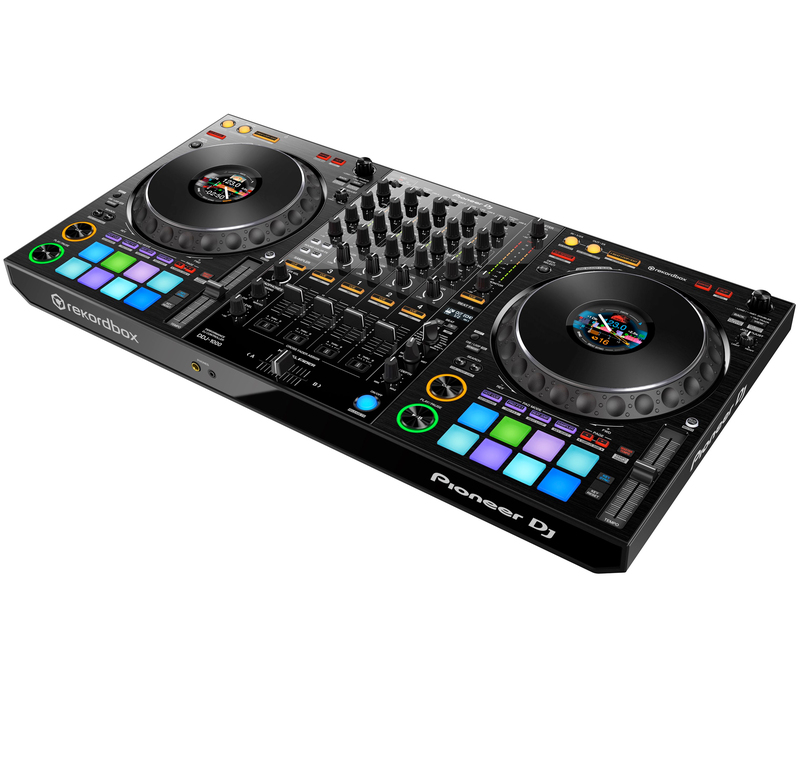 Hit the 16 back-lit rubber Performance Pads to trigger Hot Cues, Pad FX, Beat Jump, Sampler, Keyboard Mode, Beat Loop and Key Shift at a touch. 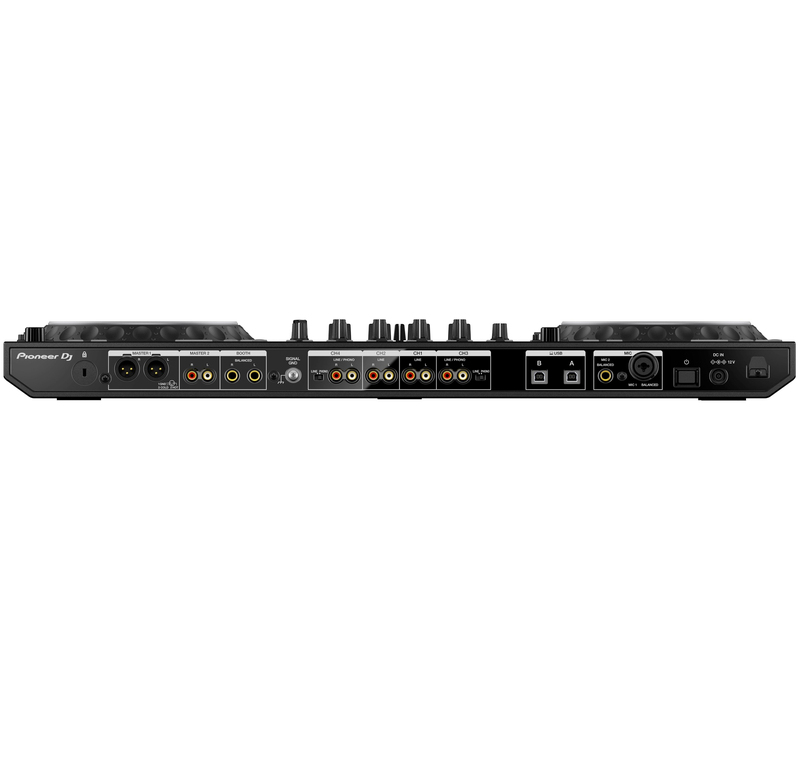 Magvel Fader: on the crossfader is a magnetic crossfader based on the Magvel Fader Pro that comes on the DJM-S9 battle mixer. This is apparently a “light” version of that fader, but is still rated for millions of movements. 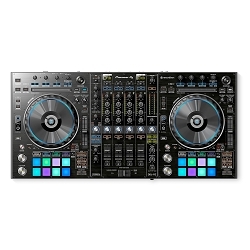 Four deck control: as with on the DDJ-SX2/RX, you can toggle each deck to a second layer, allowing four deck control. This is coupled with an indication on the jog display to let you know which deck you’re on. Slip Reverse: as first seen on the NXS2 generation of CDJs, “slip reverse” is the default reverse button behavior on the DDJ-1000, meaning that Slip Mode is automatically activated anytime you tap the reverse button. Once you let go of reverse, the track picks back up exactly where it would have been, keeping your phrasing locked.